Okay, so I promised you an Emilia Puppy Update!! And a Puppy Update you will get!! However, this may just be too much cuteness in one Blog Post!! So, Emilia’s puppies will be 5 weeks old TOMORROW! Can you believe it! 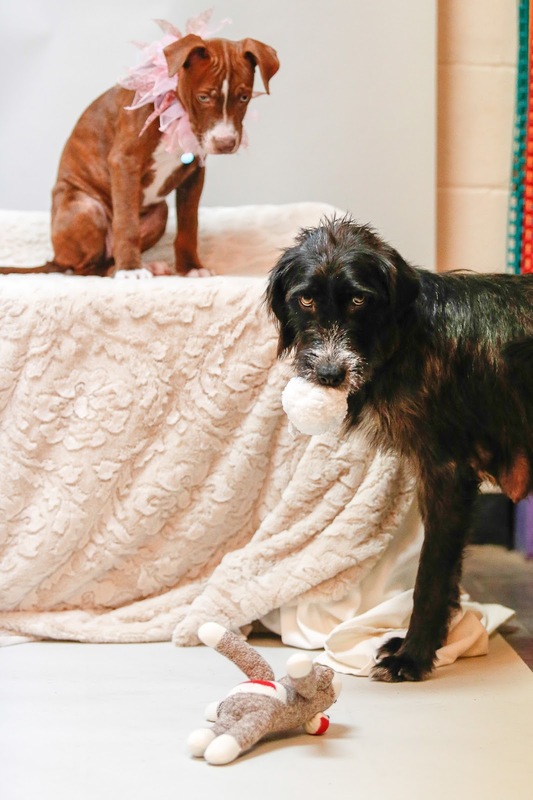 We know Mama is a terrier mix and it seems Daddy is a full blood hound dog who has been seen roaming the rural area where Emilia had been dumped. Now, while we have 5 super cute puppies, we all know that there are too many homeless dogs to be having more puppies in the world. 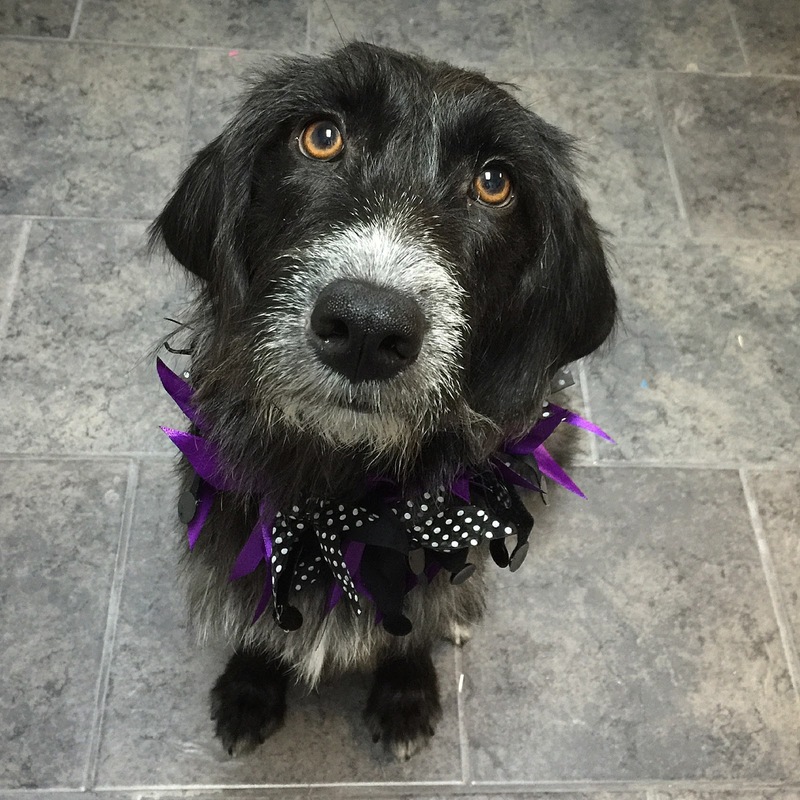 So, Emilia will be spayed before she is adopted . . . . and seems there is a hound dog out there that needs similar treatment. Get your pets fixed people! 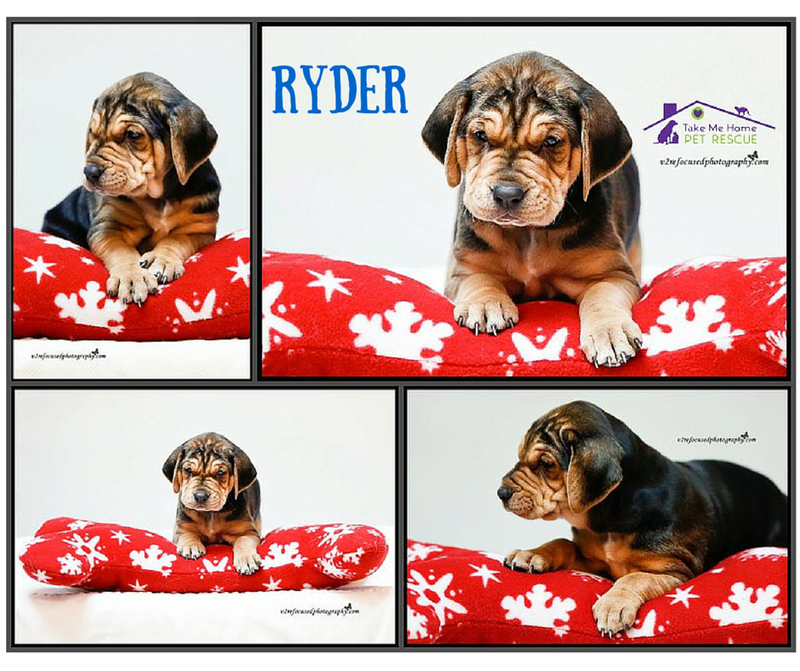 This is Ryder. He is the most “hound dog” wrinkly little guy ever! He seems to be a rather laid back kind of dude. 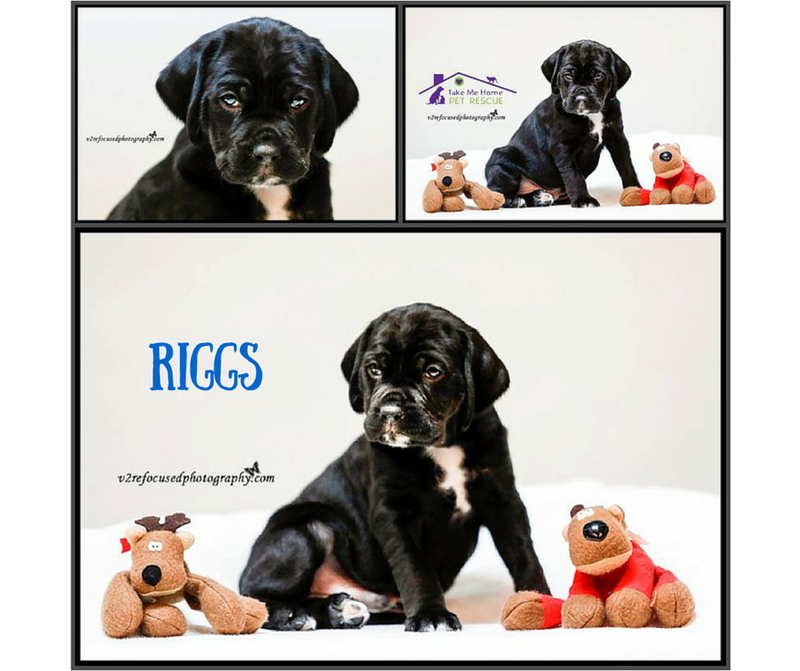 Riggs is a sweet boy who loves to play and cuddle. He looks most like Mom with the white markings on his muzzle & feet. But, he does have some of those wrinkles on his nose and legs as well. He is so kissable! Rhett is Roo’s twin brother. He is a tricolor pup with the little white markings on his feet. Rhett LOVES people. If he can hear a human in the Adoption Center, he wants to be held. This sweet boy is such a snuggle bug and quite the poser for photos. And meet sweet Roo. She seems to have Mama’s sweet disposition. Like Rhett, she is a tricolor and has the white markings on her muzzle, chest and feet. 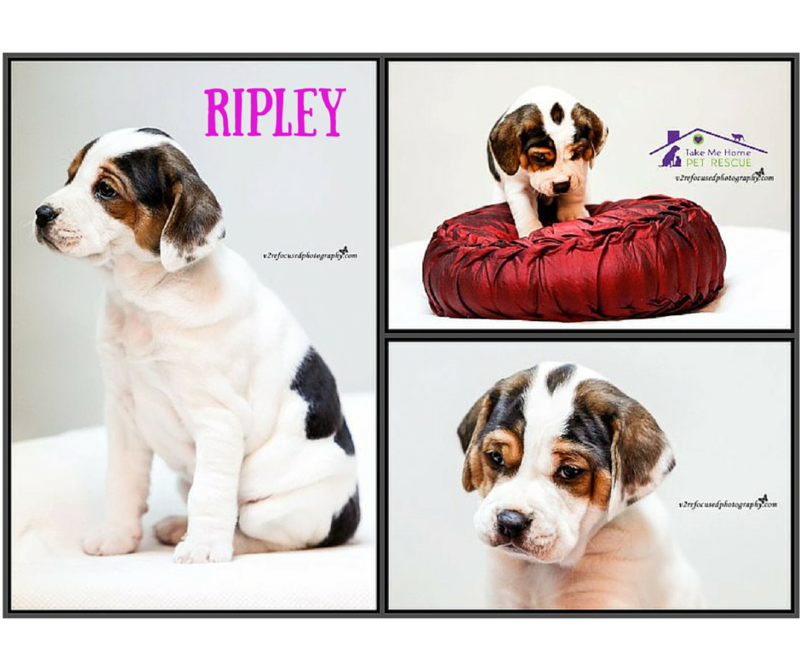 Ripley is the baby of the litter. Born last, this cutie looks like her Daddy. She may be the youngest, but she also seems to be the bossiest. She knows how to get her way. These sweet kids will be able to leave the Adoption Center for Foster Homes at about 7-8 weeks. They are currently eating gruel and Mama will slowly wean them. Puppies will be going to their foster homes in sets of twos or threes. 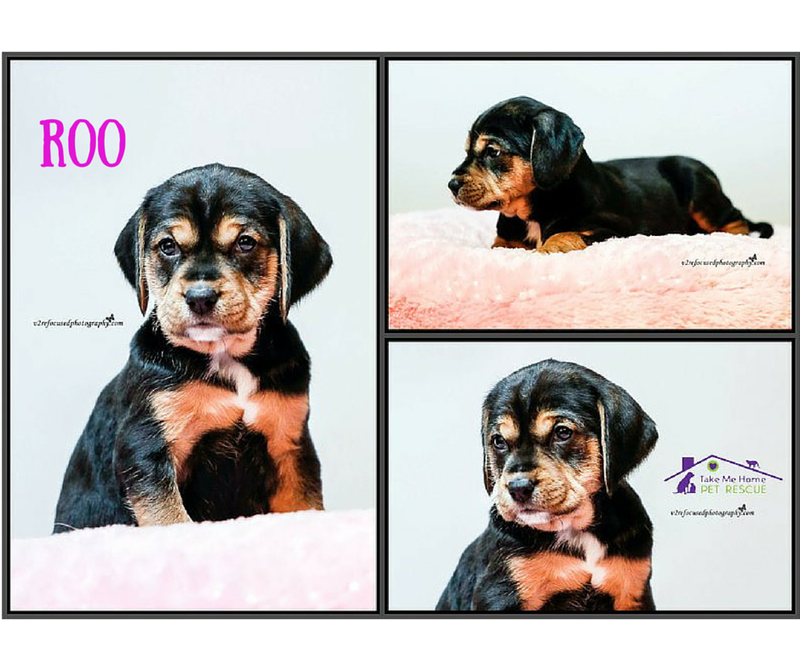 Take Me Home Pet Rescue (TMHPR) believes that puppies should remain together to learn from each other until about 10-12 weeks of age. It is such an important time of learning and socializing. 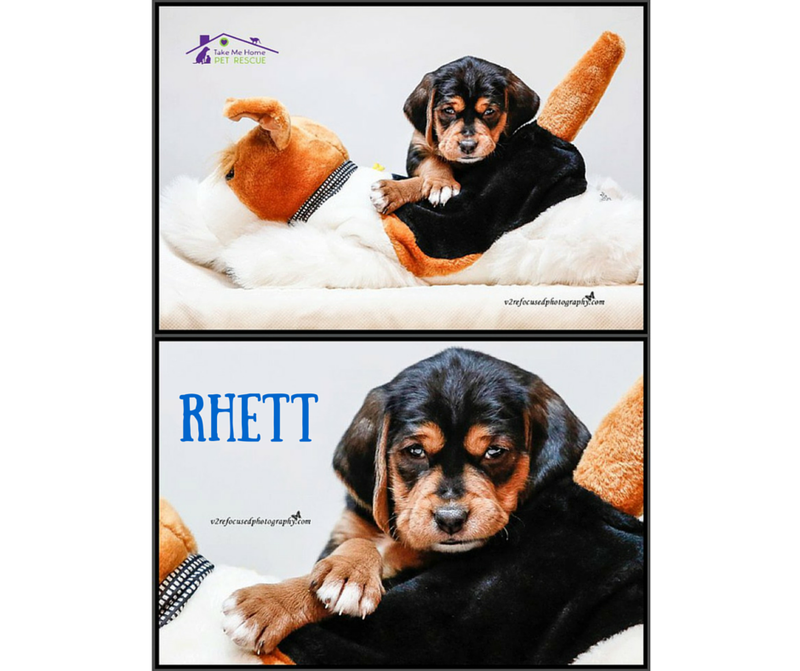 Between the ages of 10-12 weeks is when they will begin going to their Forever Homes. 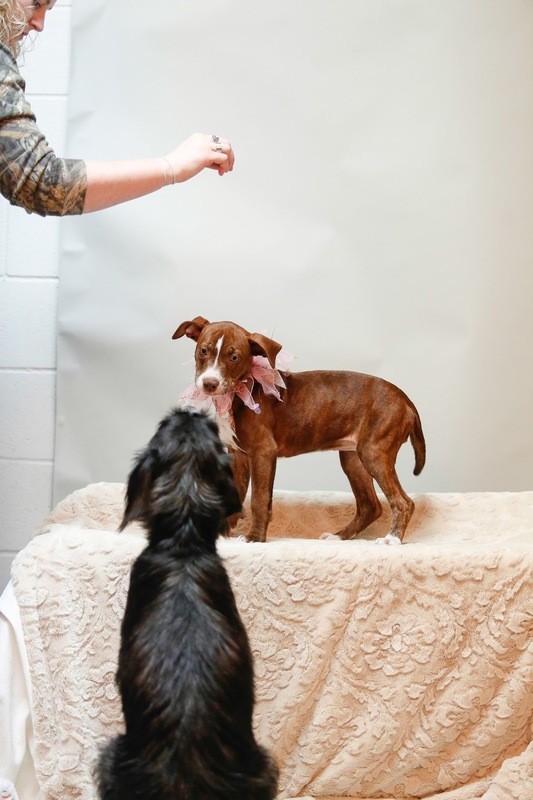 This is the age in which the puppies are ready to be their own individual selves and have learned what they have needed to from there litter mates. If you are interested in Fostering, Fostering to Adopt or simply Adopting one of these cuties, please take the first step in the process and fill out an Adoption Application on our website. The application does not tie to you a particular dog or require that you adopt that particular dog. It simply allows you to begin the process of being approved to adopt from TMHPR. Now, how about an update on Mama Emilia? Well, she is a very social dog, loves people and loves other dogs. We can tell that she is feeling better as she has a spring in her step, she initiates play with other dogs and has begun playing with toys. Emilia spends quite a bit of time in the photo studio helping me clean and organize the room. It happens to be next door to the room where she stays with her puppies. She knows I have special treats in this room, so she loves to hang out. Well, she has also learned that I have some pretty great toys in there as well. And the other night she hung out while we were taking photos of a new puppy, Star. She started out wanting treats, then decided she needed to play with Star and finally, she grabbed a small toy and started bouncing all over the room. Emilia teaching Star how to sit for a treat. Star clearly saddened that Emilia was stealing the spotlight. and she was sitting still to have her photo taken. HA! Please know that this is just a small portion of the cuteness that abounds with the dogs at TMHPR. Or you can find updated photos from our fosters on our Instagram account. And we are tweeting important information about our organization on Twitter. But, most importantly, please share our stories. Sharing does save the lives of animals.